Bulldog Cleaning & Restoration utilizes the latest hepa-filtrated equipment and industry practices to safely and effectively take on any size remediation job. 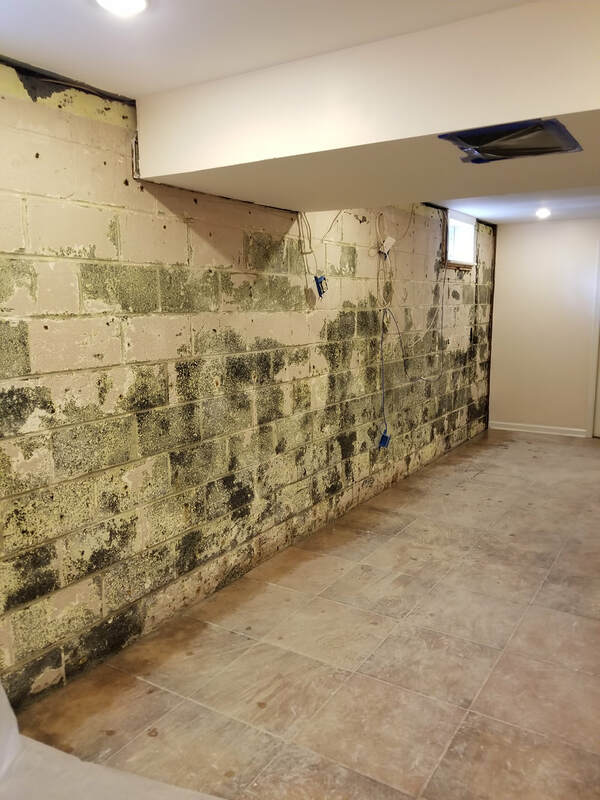 Mold Remediation is a delicate process best completed by a professional team with experience in mold remediation. Our Bulldog Cleaning & Restoration Team perform all necessary steps needed to bring your indoor environment back down to acceptable IAQ levels. Mold is everywhere. Large colonies of mold can spread spores into the air through even the simplest disruptions. Bulldog Cleaning & Restoration Technicians perform indoor air quality tests prior to and post all remediation projects to ensure we get your property back to safe habitable levels. When disrupted, mold can become airborne and transferred throughout the property via the HVAC duct system. Our Bulldog Cleaning & Restoration Technicians perform HVAC Duct Cleanings to remove these spores and seal the ductwork from the inside to prevent spreading contaminants and promoting future mold growth. Hepa filters are an important tool in the remediation of mold. Hepa filters remove 99.97% of particulates up to .03 microns in size. These particulates are not able to be seen with the naked eye. With the use of containment systems and specialized hepa equipment cleaning the air, Bulldog Cleaning & Restoration is able to effectively and efficiently remediate any size loss without spreading contaminants. Respirators and full PPE are worn during mold remediation services to help protect our Bulldog Technicians and allow them to work safely in an affected area. We utilize specialty chemicals and instruments to detect and destroy harmful spores in your property and prevent future mold growth. Positive and negative pressure, decon chambers, poly strength & type are all important aspects of a proper containment structure. Bulldog Cleaning & Restoration Technicians apply years of training and knowledge to remediate what needs remediation and protect what needs to be protected. Not everything requires being removed and thrown away. Our Bulldog Technicians will help make these determinations on-site to assist you in saving the belongings that mean the most. Aspergillus - Mold that is frequently found indoors. It can cause respiratory infections, allergic reactions and inflammation of the lungs. ​Botrytis - Commonly grows in humid areas with poor ventilation such as bathrooms. Botrytis can cause asthma and allergic reactions. ​Cladosporium - One of the most common molds found while performing indoor air quality testing in homes. Most mold types prefer warm climates but Cladosporium can grow in cool areas too. Commonly found growing on fabrics and wood surfaces. Cladosporium can cause a variety of respiratory problems. ​Penicillium - Usually blue and/or green in color, it is often found in properties with water damage. Penicillium grows quickly and can spread from one side of your property to the other due to its' ability to grow on most surfaces. Penicillium can cause allergic reactions, inflammation of the lungs and can even be the cause of chronic sinus infections. ​Stachybotrys - Often referred to as "black mold", Stachybotrys is slimy and dark in color. It can produce toxic compounds called mycotoxins which cause health issues when exposed to humans. Stachybotrys can cause allergic reactions, breathing problems, chronic sinus infections, fatigue, depression and asthma attacks. Usually has a musty odor and is found in dark areas that are saturated with water most of the time like HVAC duct work, around leaky pipes and even condensation tubes.